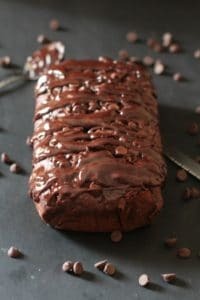 Well, it’s been too long since I shared a chocolate recipe here. For those of you who know me well, know that chocolate and I have a special connection. Let’s just say if I was given the choice to be a food I would be choose to be coffee, because it pairs so well with chocolate and that way I would get to live with chocolate forever and ever. Okay, I totally sound weird, don’t I? I don’t care though, because that’s how serious I am about chocolate. Lol. 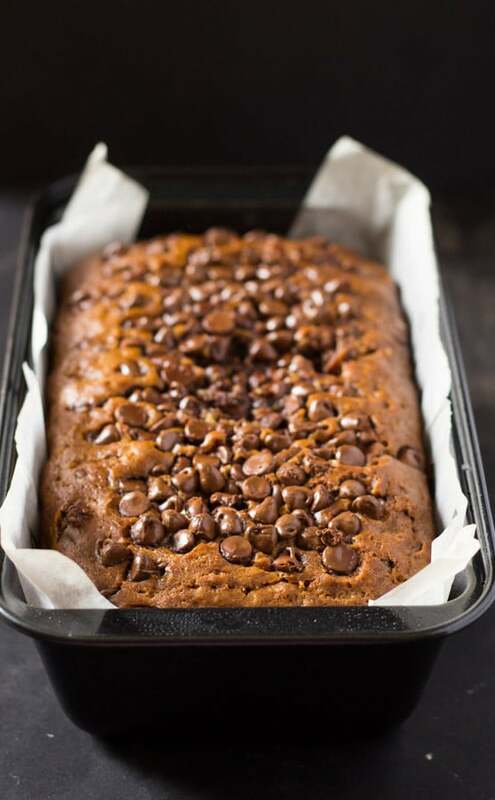 So to make up for the lack of chocolate recipes around here lately, I present to you this handsome, chocolatey loaf bread which happens to be called Cinnamon Chocolate Chip Bread. Isn’t it a beauty? This bread is one of the softest, moist breads you’ll ever eat. It’s full of melted chocolate pockets (the best thing ever) and there’s that lovely warm taste of cinnamon. There are a few important ingredients that go in the batter to make it so moist and so perfect to be eaten with a cup of coffee or tea. The star ingredient here though, is the buttermilk. Buttermilk is one of my favorite ingredients in baked goods. 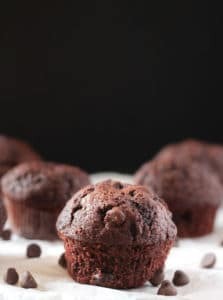 Firstly it gives a great amount of moisture to any baked good, and secondly it also adds a slight tang to the overall flavor of whatever you’re baking. Now, I know most people don’t keep buttermilk at home. Neither do I.
Don’t worry though, there’s an easy way to make buttermilk at home. Just measure 1 cup of milk, and add 1-2 tablespoons of fresh lemon juice or vinegar. I normally use vinegar. Let this mix stand for a few minutes or so until the milk appears to be curdled. Don’t worry, curdled is good in this case. One Cup Milk + 2 Tablespoons White Vinger = Homemade Buttermilk! Now all you have to do is whisk together the dry ingredients in one bowl, and the wet ingredients in another bowl. Then slowly pour in the wet ingredients to the dry ingredients and mix until just mixed. Please don’t over mix, as it will alter the texture of the bread. So when you can see just a few streaks of flour left in the batter, that’s when it’s time to stop mixing. 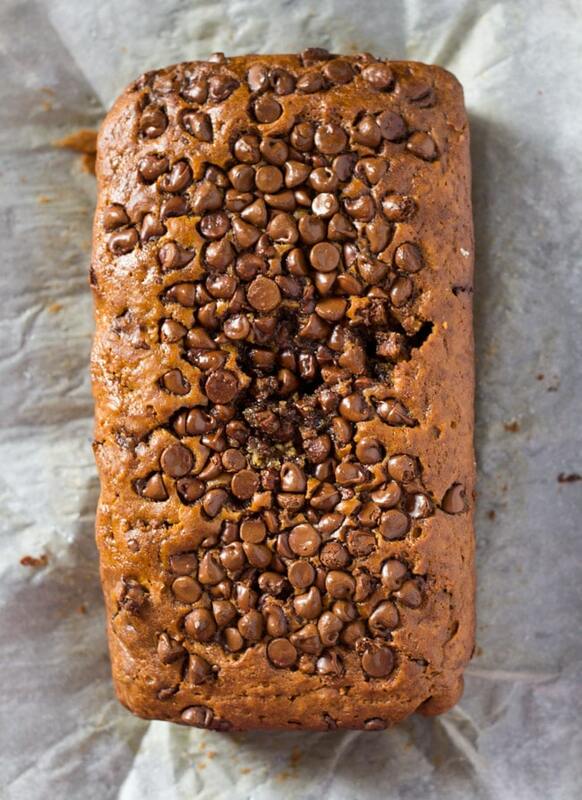 And now you can baaaake this gorgeous Cinnamon Chocolate Chip Bread! 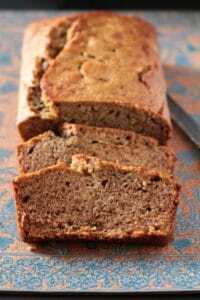 This quick bread is the perfect snack to keep around as cooler weather approaches. And it’s an added benefit that your home will be perfumed with the cinnamony-chocolate scent as the bread bakes in the oven. You’ll feel like a total domestic goddess, or domestic god. 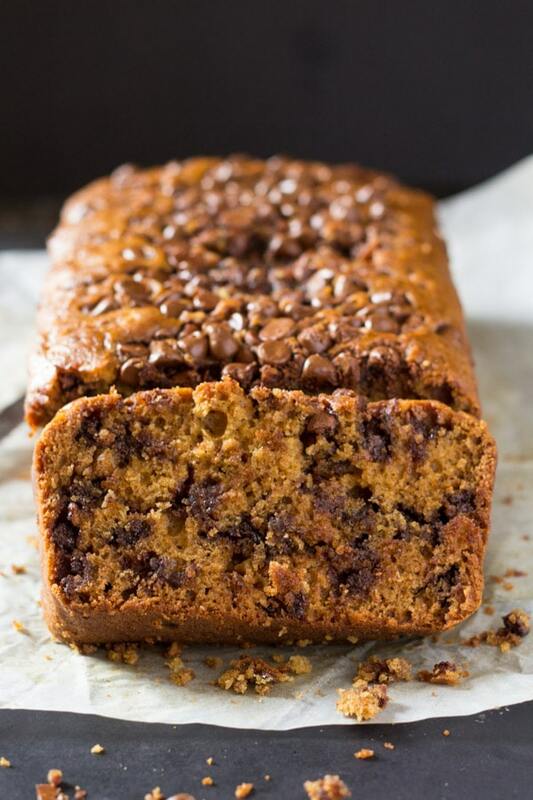 Although you won’t feel so saint like when you take the first bite of this Cinnamon Chocolate Chip Bread, and sneakily finish the bread when no one is looking. Because, it really is that good. Looking for more yummy desserts? 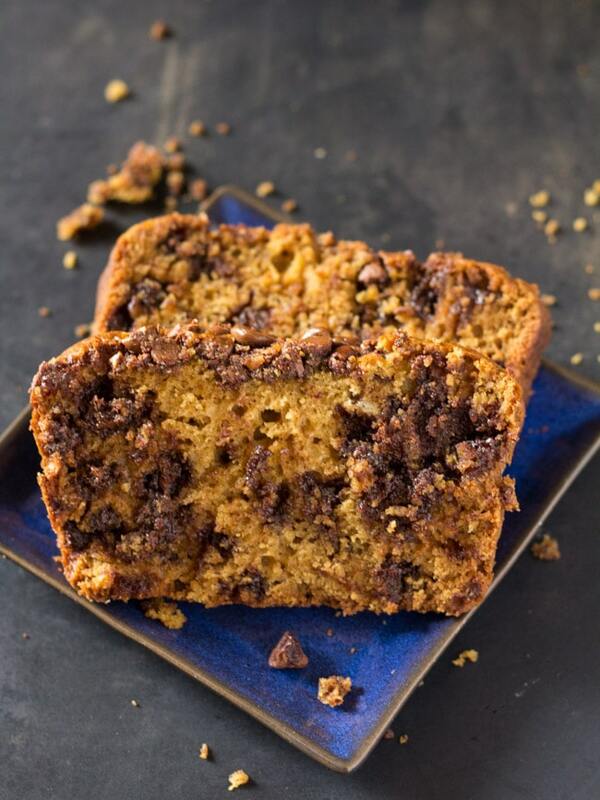 This Cinnamon Chocolate Chip Bread requires no mixer and takes no more than 10 minutes to whip up the batter. It's the perfect bread for breakfast or pairing with tea or coffee. Preheat the oven to 350F degrees. Prepare a 9 x 5 inch loaf pan by light greasing it and then lining with parchment paper. In a large bowl, lightly whisk together the dry ingredients: flour, baking soda, salt and semi sweet chocolate chips and cinnamon powder. In another bowl, mix together the egg, light brown sugar, granulated sugar, buttermilk, oil and vanilla extract. Slowly add in the wet ingredients to the dry ingredients and gently whisk until just combined. Try not to over mix the batter. Pour the batter into the prepared loaf pan. Lightly cover with aluminium foil and bake for 45 mins to 1 hour. The bread is ready when a toothpick inserted in the middle comes out clean. Allow bread to cool completely in the loaf pan, and then take it out. Substitute for Buttermilk: Add 1-2 tablespoons of white vinegar or fresh lemon juice to 1 cup of milk. Let stand for a few minutes until the milk appears to be curdled. Mix and use as instructed in the recipe. Yummy looking bread! Must taste delicious with buttermilk! I followed the recipe exactly but did not have any chocolate chips on top. Did you put more on top? Hi Rachel. I’m so sorry for the inconvenience, there was a technical error which made the recipe card disappear. I’ve fixed it now. Thanks for letting me know! 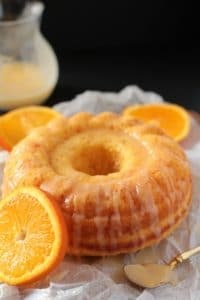 Hi, I was just wondering if this could be made with wheat flour instead? My son isn’t able eat white flour. I made this yesterday, and it was a HIT! 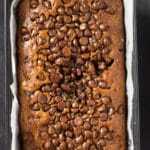 The bread is moist, chocolatey and delicious, and not even having to use the mixer makes it extra easy. I forgot to cover it with foil and it still came out great after about an hour. In my experience, though, most of the chocolate chips sunk to the bottom, so I think next time I’ll mix half in the batter and use the rest as topping. Thanks for the awesome recipe!